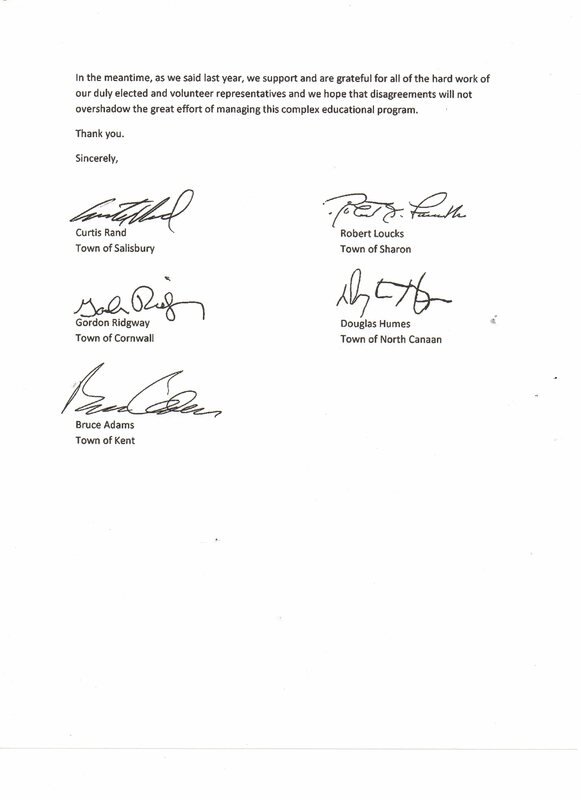 Here is the letter circulated by Curtis Rand, on an idea originated in a email from Bruce Adams, signed by, once again 5 of the 6 First Selectmen(woman) in our area. Once again, it offers no real direction to our volunteer board of education to communicate with one another, and the administration. 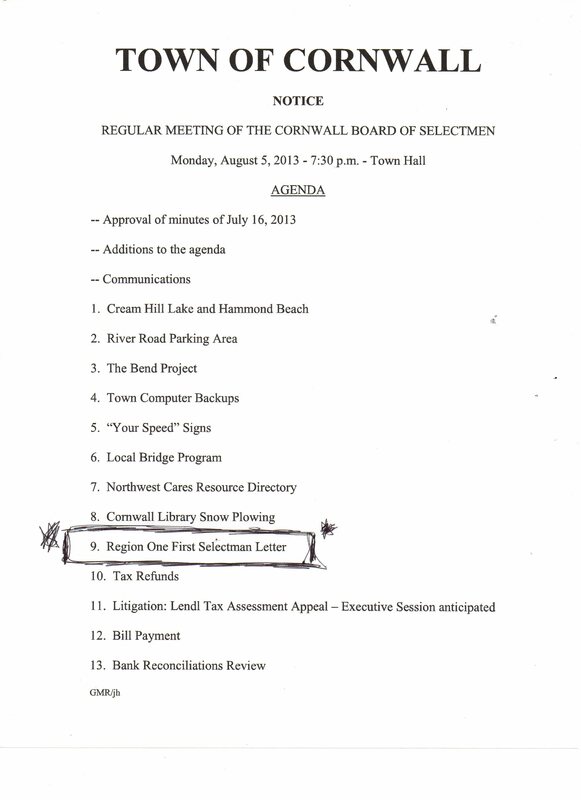 Once again it talks about common ground, it asks that in order for the system to move forward, we urge the Region 1 Board and Administration work together in a flexible way with public input, and then, it asks that the residents “might” support the budget in the next referendum in the “spirit” of cooperation. 1) residents “might” support the budget in the next referendum in the “spirit” of cooperation. Residents have been willing to cooperate, it is the board and the administration that have not budged on inch. A Board and administration that ignored three public hearings, not one, not two, but three public hearings that all said loud and clear..its not the money, it’s the administrative contracts. For the public to cooperate, we need to feel that we are listened to, alas, neither the majority of the board, or the administration is listening. You can NOT have cooperation when one side refuses to listen. 2) in order for the system to move forward, we urge the Region 1 Board and Administration work together in a flexible way with public input. In four budget votes, in four budget information workshops the Region 1 Board majority and the administration have refused to do so. 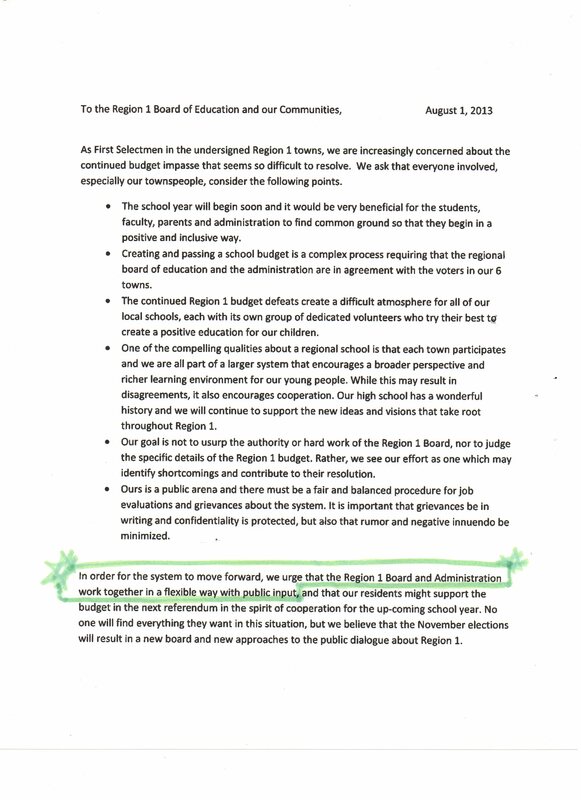 Lets see if at the budget workshop on Thursday August 8th, if they (the board and administration) will move forward and work together in a flexible way with public input, and put forth a budget that represents even a fraction of what the public asks. The ball is CLEARLY in their court, now, lets see if they want to play ball, or take their ball and go home again.